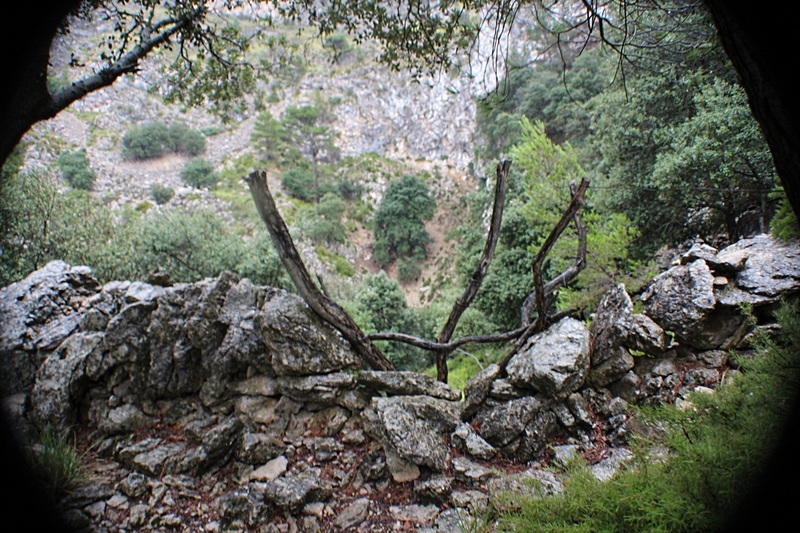 This is a loop walk to Sa Galera starting from Deia, that could also be used as an alternative ascent or descent on a hike to or from Valdemossa or Soller. Both 'pas' (mountain passes) have been fitted with safety cables and are fairly easy to overcome. 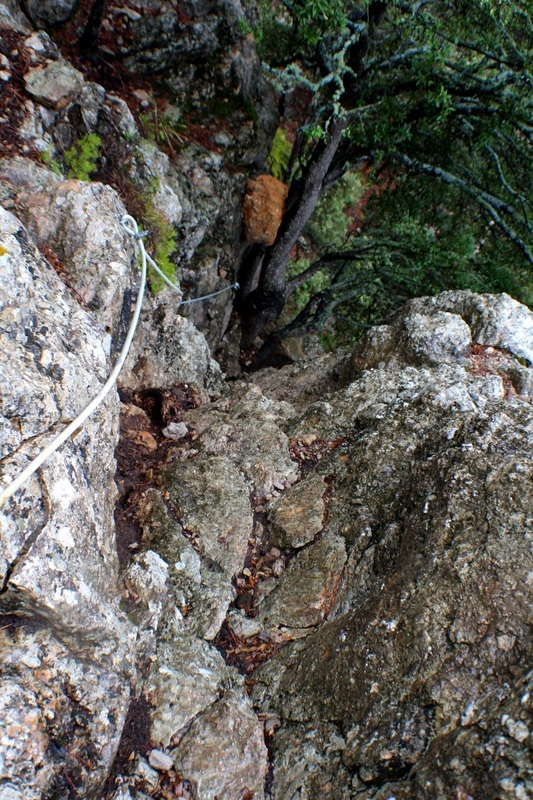 There is no technical climbing involved, and ropes are permanently placed on the most difficult passages. Still, the pas are fairly exposed, unsuitable for most young children and require a reasonable level of fitness. The views from sa Galera are hugely rewarding. 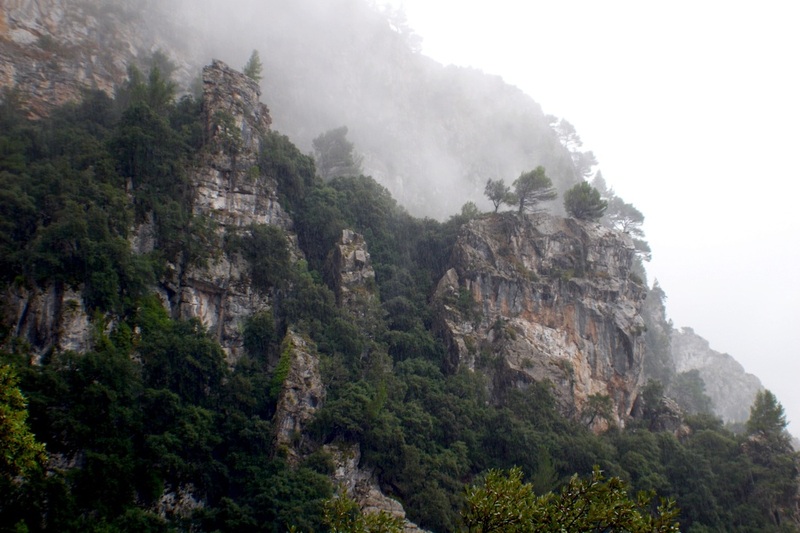 By Bus: Service 21O runs between Palma and Soller via Deia and Valldemossa at least six times a day. The journey to Deia takes about one hour. 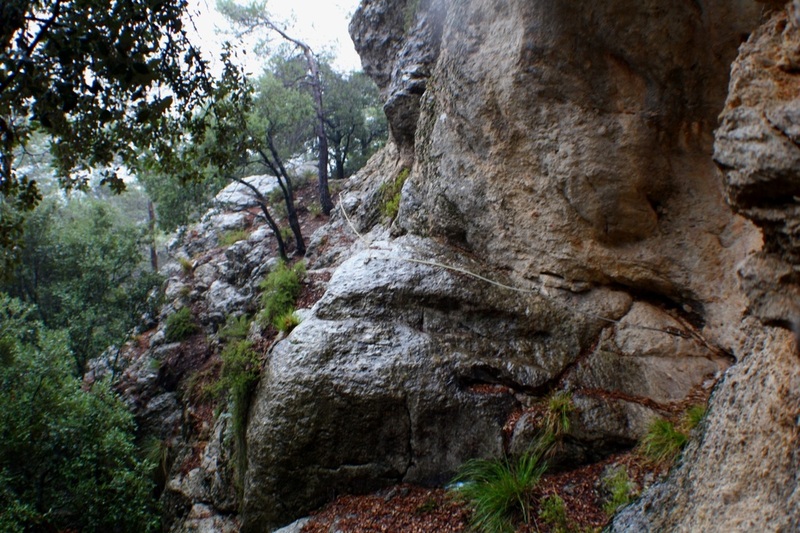 By Car: Deia is 45 minutes away from Palma via Valdemossa, one hour via Soller. 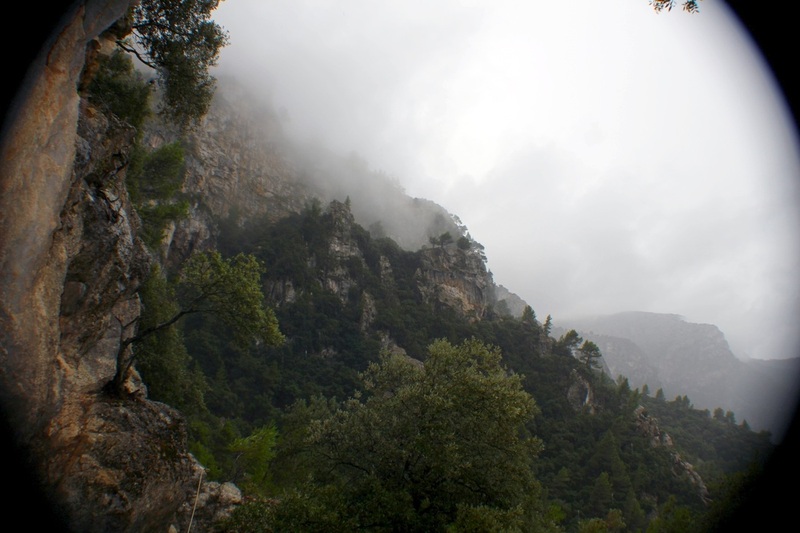 The route is descibed here as a clockwise loop from Deia to Deia. 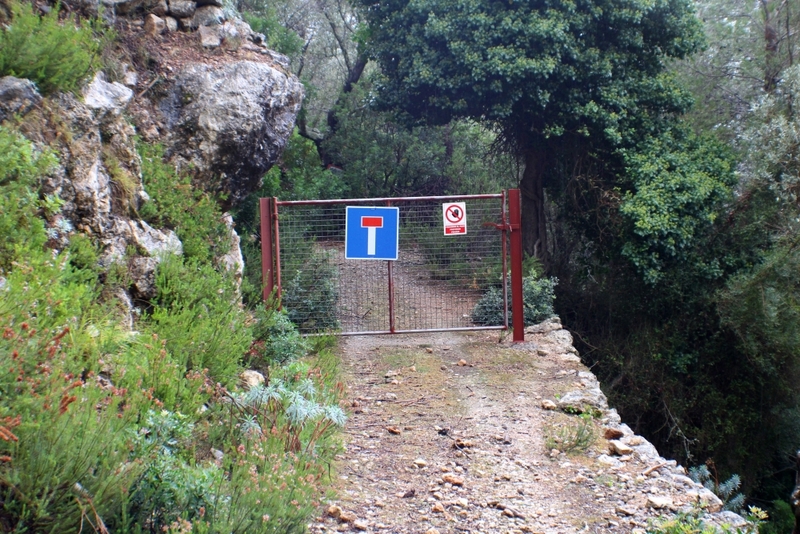 Leave Deia on the carrer Canals, a small road heading inland starting right next to the village main bus stop. Follow the street up, and take a left on the first tarmacked road, still heading up. 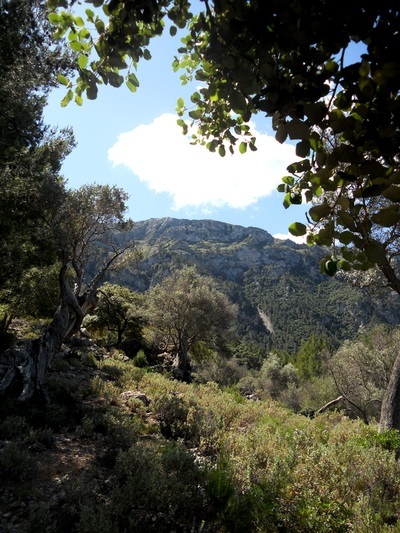 Follow this till the end, walk in front of a small villa and you will soon find the cairned track leading up to the hut at ses Rotes. Keep following the cairns up hill, that will soon lead you into the forest. You will then go up a steep valley, crossing forestry tracks on occasion (spot the old cart abandoned on the side of the trail). The cairn line will lead to the right you onto one of the higher forestry tracks, which you will abandon at the first left hairpin bend, along a small, well marked trail. 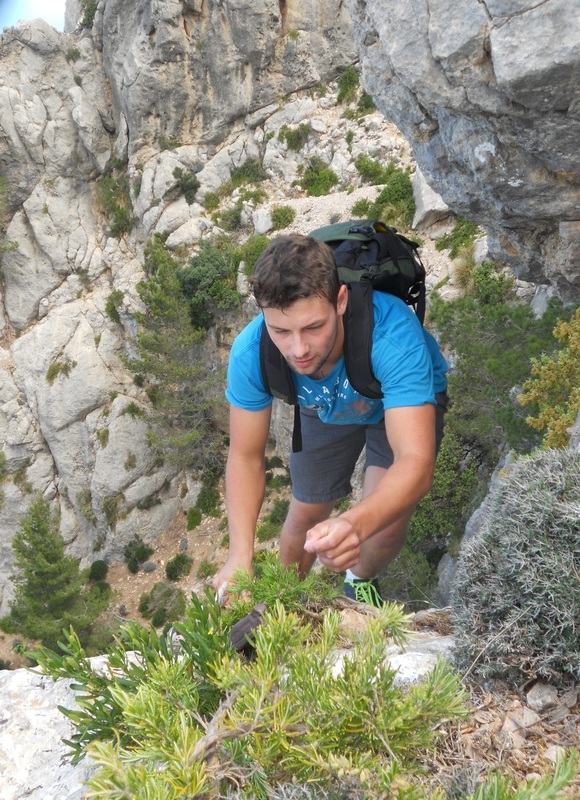 You will soon reach the first ladder of the Pas d'en Marc, followed by the cable stretch and the rope section. None are technical, and with simple care these will be crossed easily. At the top of the pas, follow the easiest route up towards the ridge in an easterly direction, crossing a number of smaller scree slopes. The ridge of Sa Galera is easiest climbed slightly to the east (+/- 300 m) of the Sa Galera marker point, up a narrow gulley. Once on the ridge Sa Galera is easily reached. On the way back, follow the ridge in an easterly direction, passing the point where you joined it on the way up from the Pas d'en Marc, and looking carefully for a passage back down towards the very large scree slope bellow. A large cairn marks the way. Follow the faint line of cairns in a westerly direction, below the ridge cliffs, you will cross a number of scree lines, sometimes zig zagging quite sharply down hill. After crossing a small valley, you will reach a stile on a stone wall where you enter the forest. 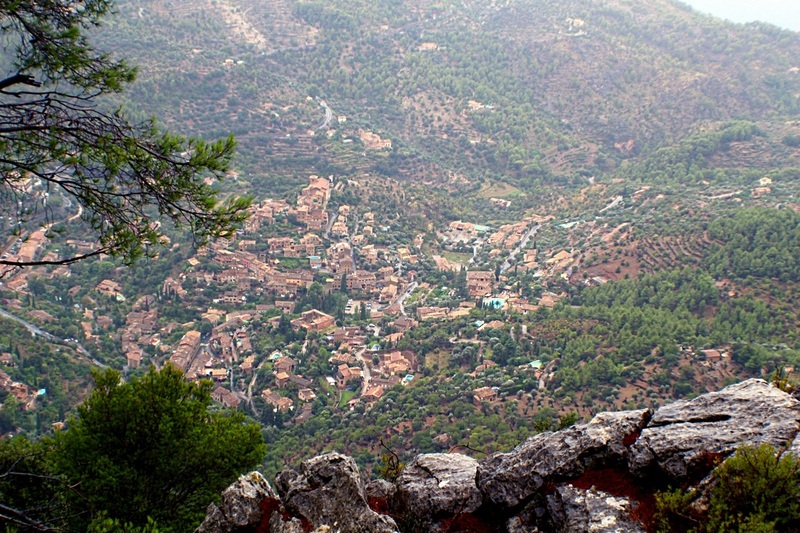 There is a magnificent viewpoint over Deia close by. The Pas de can Boqueta is very close by, a set of gentle ramps that present little difficulty. 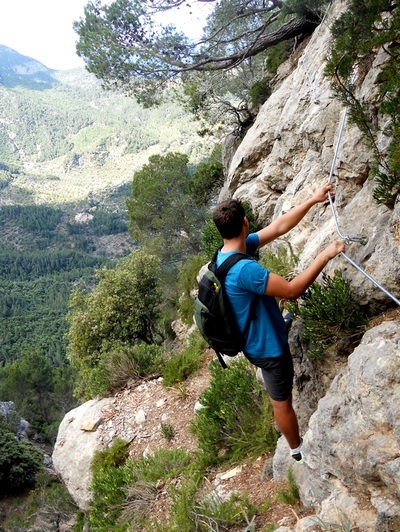 Go down the Pas, down the scree slope and you will soon find the main trail back to Deia. You would normally follow that trail to the left to reach Deia in 15 min, but.... Land owners have closed it off. You can still pass, but you will have difficulties at the bottom end exit, well fenced off. 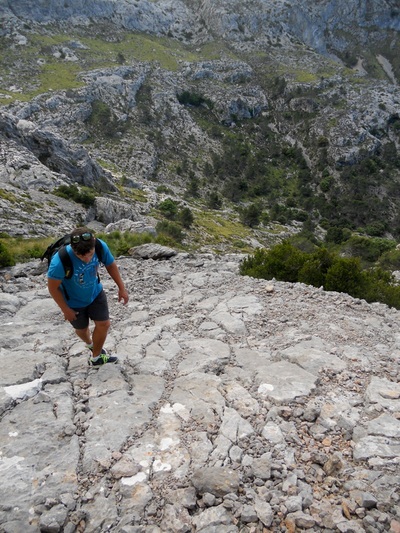 The alternative is to take a right as soon as you find this main trail, and try to reach the upper end of Carrer Canals. Never tried it, but it looks like it is now the best option.